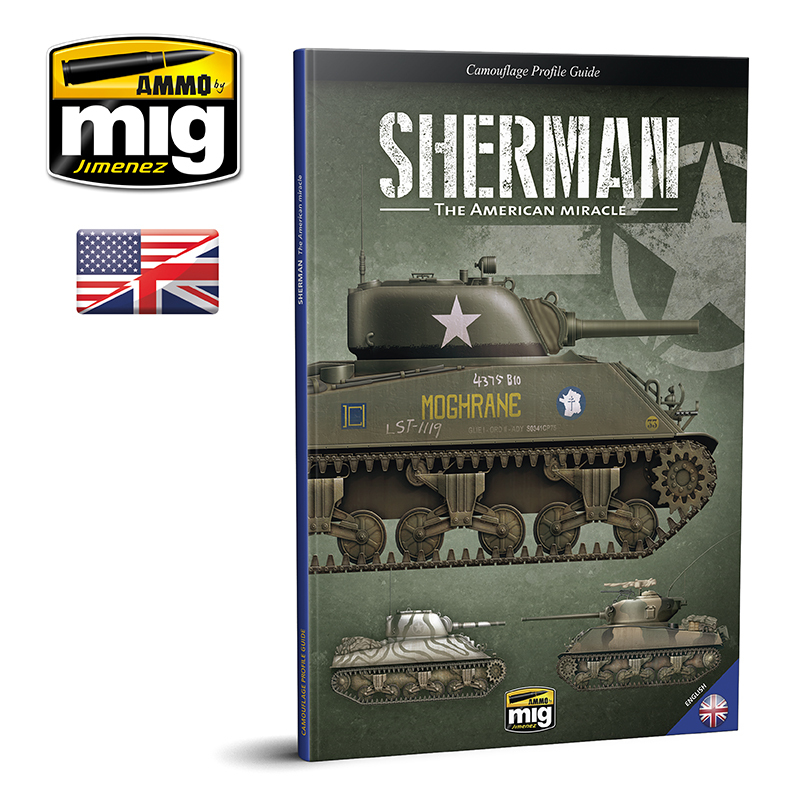 SHERMAN, the American Miracle, is a new AMMO publication, you will find all the necessary information required to paint and weather all your modeling projects involving this famous American-built tank. 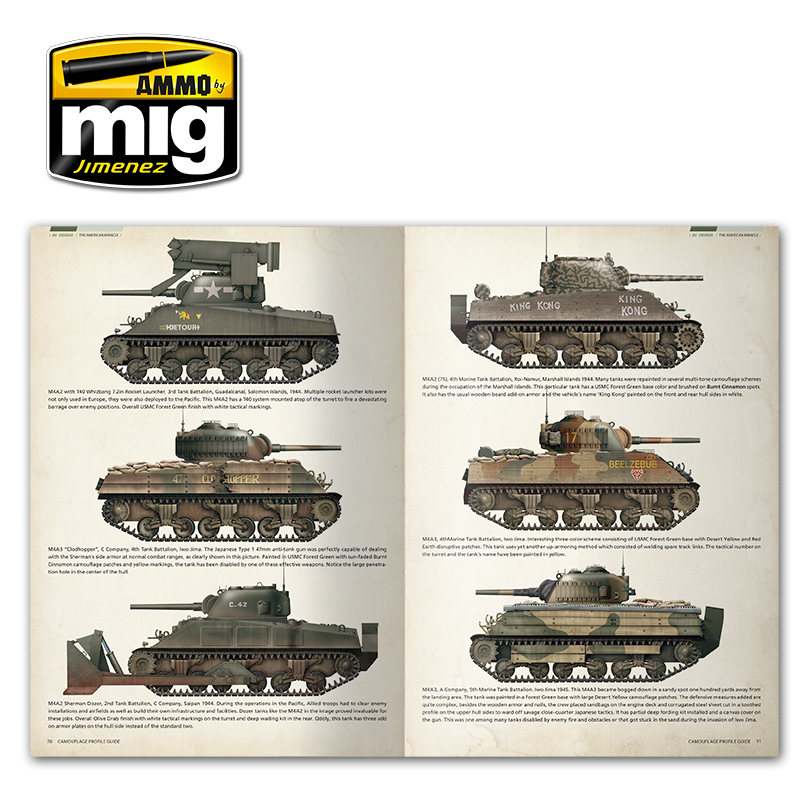 More than 180 color profiles grouped by war theaters will inspire you to build subjects with the most original and appealing versions and camouflage schemes. 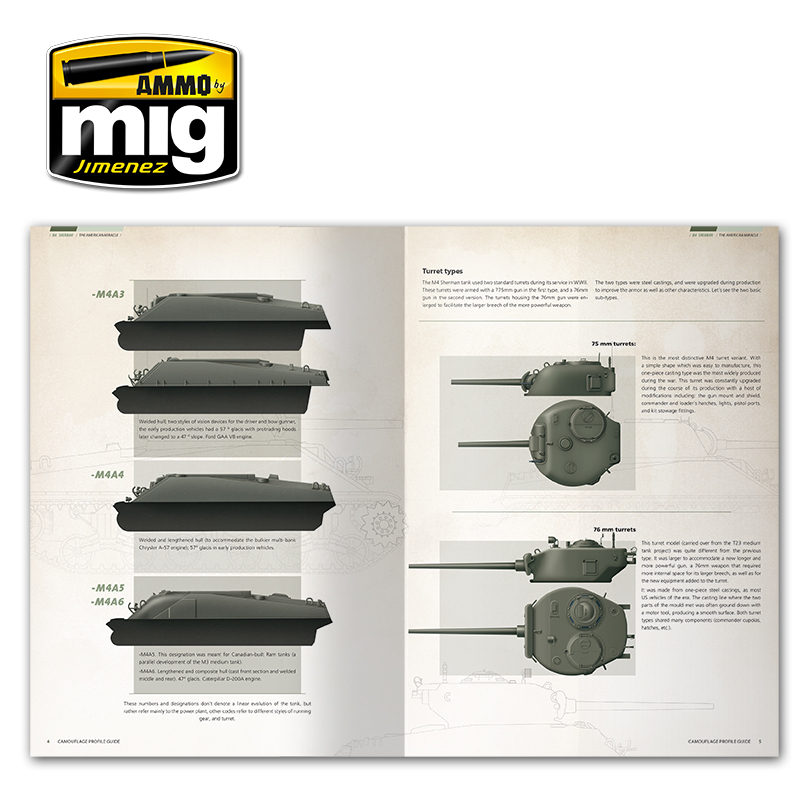 This book shows that against conventional wisdom, not all Sherman tanks were painted green. 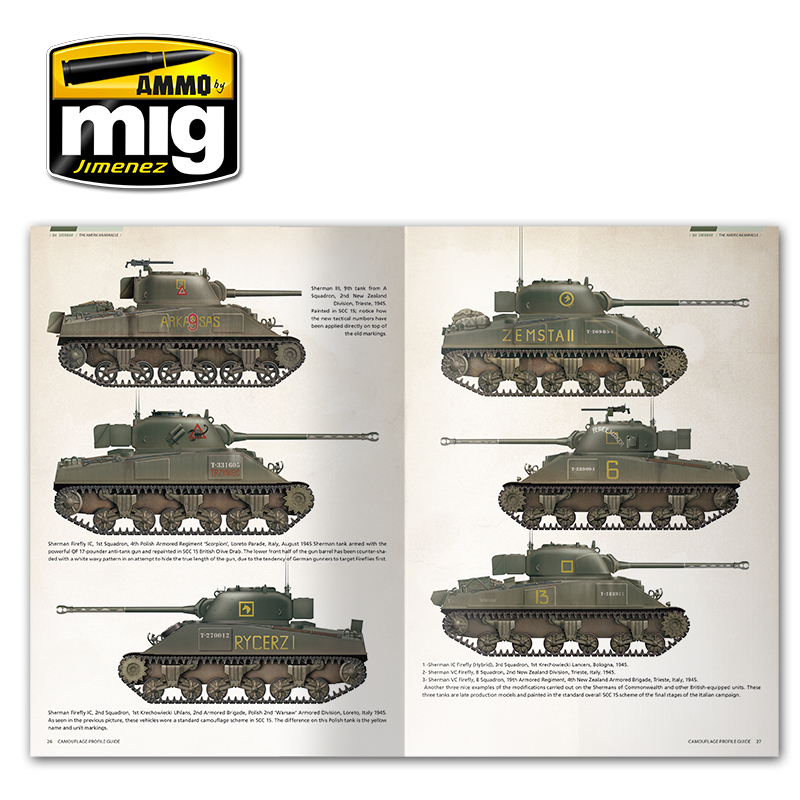 From color schemes that take us to the dusty and scorching sand of the North African desert, through the European battlefields, and ending with vehicles used in the Pacific Theater of Operations, this publication shows many original and rarely seen examples of WWII camouflage schemes. 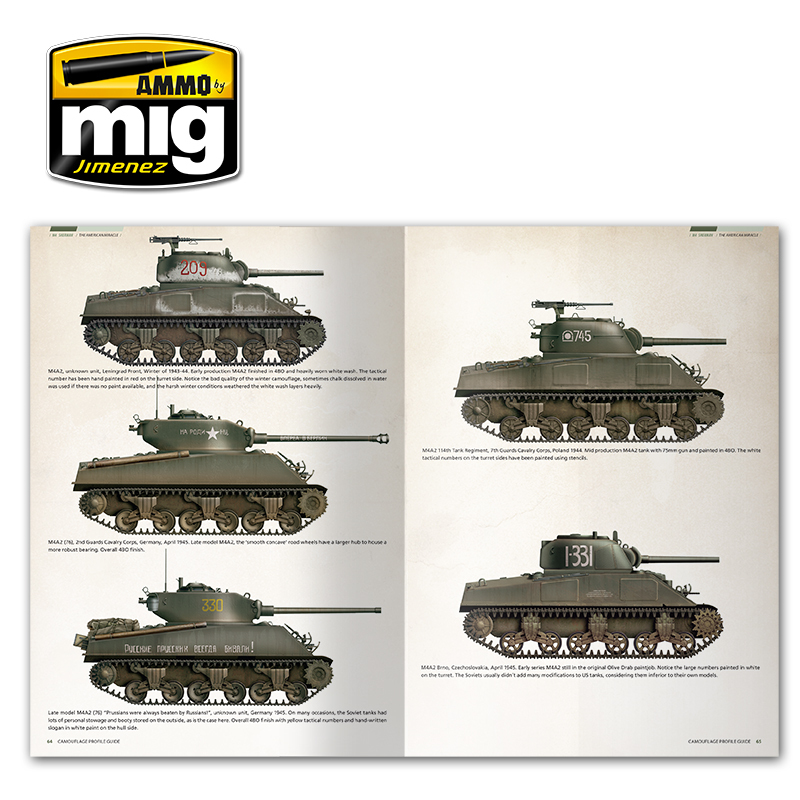 There is an introductory chapter included that analyzes the different versions of the Sherman in an easy and comprehensive manner. 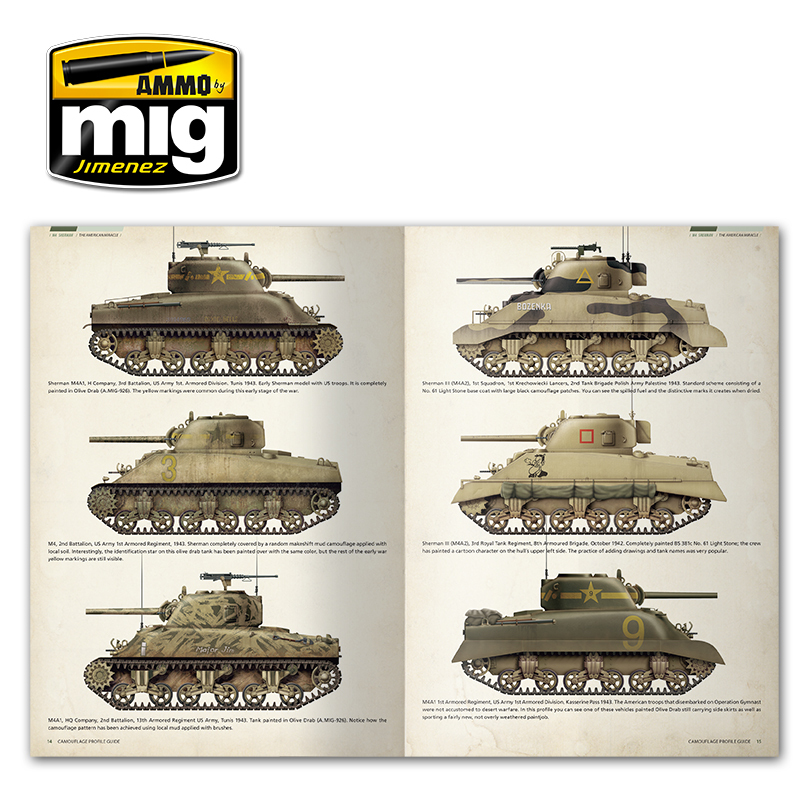 Also included is a section that outlines the different colors used to paint each example used by a diverse range of armies throughout the course of the war. 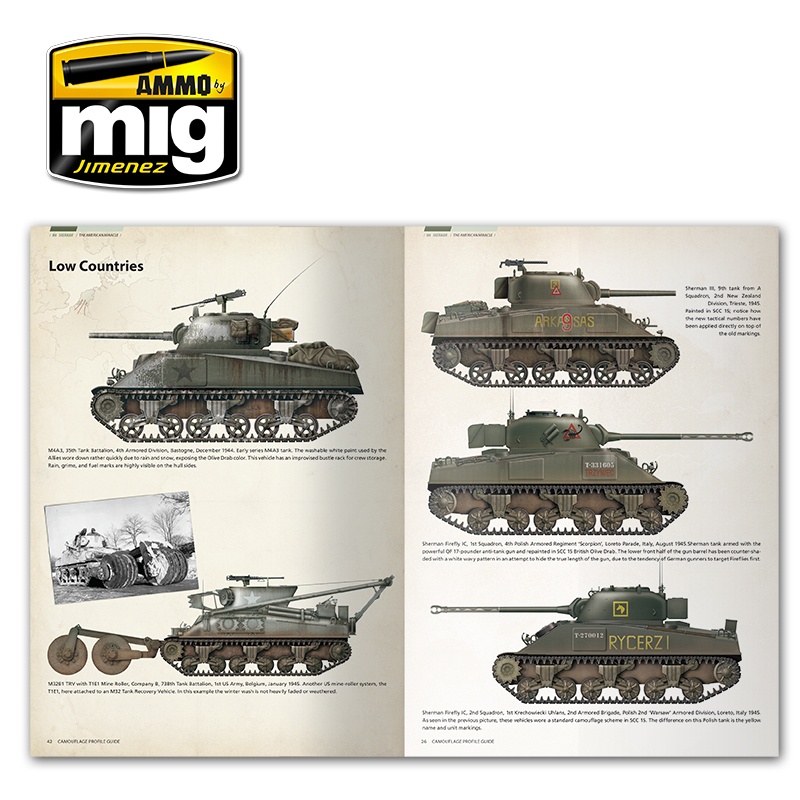 Whether you are passionate about this famed tank or are interested in Allied vehicles in general, you cannot miss this book.